Well, not too much to talk about today. Future Vision video was exciting. Dust actually has me excited, but not to the point where I will go buy a PS3 for the title. I will be following the progression of Orbital Bombardment though, seeing if any of the options I talked about with devs over beers come to pass. Things like concentrated laser bombardment vs projectile scattered bombardment, what ships the modules will be available for, etc, etc. I think it could add a really interesting layer to the game honestly. I’m very interested in the new ship line concept coming April 24th, though that particular day saddens me. I think having a greater diversity of ship roles and new modules will make the game very exciting again, until of course, pilots figure out what works best and stick with it. It’s a challenge to truly balance any game system. If the proposed Factional Warfare changes are enacted, I may have to re-enlist, get back out there killing Amarr, making the name of Matar Colonel Roc Wieler more than some egotistical ramblings of a retired hack. Some very exciting Third Party Developer stuff going as well with Carbon Rest, or CREST as its called, and I will definitely be playing around with those libraries as they are released. Even the new, free developer license holds a limited appeal to me. We shall see what the future holds in that regard. I’d also like to formally congratulate CSM 7. Having already known a few members, and having the chance to interact more with this year’s candidates, and some winners, I’m mostly satisfied with the results. Am I disappointed I failed to achieve a seat yet again? Of course I am, but there’s really nobody to blame but myself. Obviously, my campaign strategy didn’t work, wasn’t aggressive enough. I didn’t get my name out there in an effectual way as to compel people to vote for me. It was a good learning experience. Should I run again I will have to plan better, get some feedback from all of you before taking my message to the rest of New Eden. Again, we shall see what the future holds. At the same time, don’t expect me to quietly sit back and wallow in defeat. There were some shortcomings of CSM 6 that I need to be more vocal about, getting more involved in our forums to publicly ask for more consistent accountability from both the CSM and from CCP, though the latter has restored much of my faith in the future of our game. Overall I had a decent time. I just miss my wife. 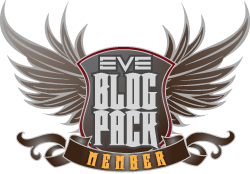 This entry was posted in Roc's Ramblings and tagged 2012, EVE Online, fanfest, Roc Wieler. Bookmark the permalink. I was chatting with one of the event team guys, and they were talking about some of the issues that they faced with the Harpa. One of the big ones being that they were not allowed to affix anything to the walls, which I can understand. So they admitted they want to eve it up more for the next years event so it was more ressembling the older venue. I know that I deffinately missed the tannoy annoucements and the constant station feed shown on the large screen. Lets just hope that it is new venue growing pains. Another interesting challenge of the Harpa I discussed with fellow attendees, devs, and even some locals, was the Escher effect. There are no 90 degree angles in the Harpa. The brain needs that to establish relative planes. Many people find it very disorienting, inducing vertigo. While I only experienced that while drunk, the ongoing joke was that it would be the first and last time Fanfest was the Harpa, as we all expected fatalities. I’m glad it didn’t go that way. As for decoration, maybe next year they will remember their obligation to the Minmatar, and it will be what we all hoped.